The varsity volleyball team fell to Adams Central last night, 18-25, 8-25, 16-25 to fall to 1-5 on the season. Heather Harty had 3 blocks, 2 digs, and an ace. Hannah Reid, Skyler Stephens, Haylie Williamson, and Jaci Rogers all had 4 digs. The JV lost their match 8-25, 9-25 to fall to 2-3 overall. The Lady Bruins Volleyball teams won their matches against Anderson Prep Academy last night. The JV won 25-10, 25-10 and varsity Lady Bruins won 25-15, 21-25, 25-20, 25-9. Both teams had good serving and passing which led to their win. Their next match is Tuesday against Bluffton. The JV match begins at 6:00pm. 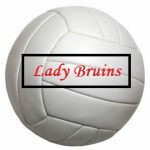 The Lady Bruins Volleyball team lost both matches against Frankton last night. The JV lost 16-25, 17-25 and the varsity lost 12-25, 20-25, 10-25. Both teams improved from their first match with better communication and teamwork. Both teams are now 0-2. Their next match is Monday against Anderson Prep. Match begins at 6:00pm. The BHS and BJHS volleyball teams will be doing a free car wash on July 1st at City Hall from 10:00am to 2:00pm. Donations will be accepted to raise money for the upcoming season. If you get a chance, please stop in this Saturday to help the girls and the program!